Nowadays, technology is evolving blazing fast and despite what some people are saying about this, mentioning all kinds of negative effects, we are nothing but grateful for this. And small business owners are just a category that shares the same sentiment, when it comes to reducing operating costs. Previously, they were basically forced to buy and maintain their own physical servers, but now, thanks to the concept of cloud computing, which consists in companies offering a part of their data centers’ processing power for a fee, small companies can now get started way more quickly and inexpensively. Still, picking the best service of this type can be a real challenge, especially if it’s a relatively new concept for you. But this is what we’re here for! 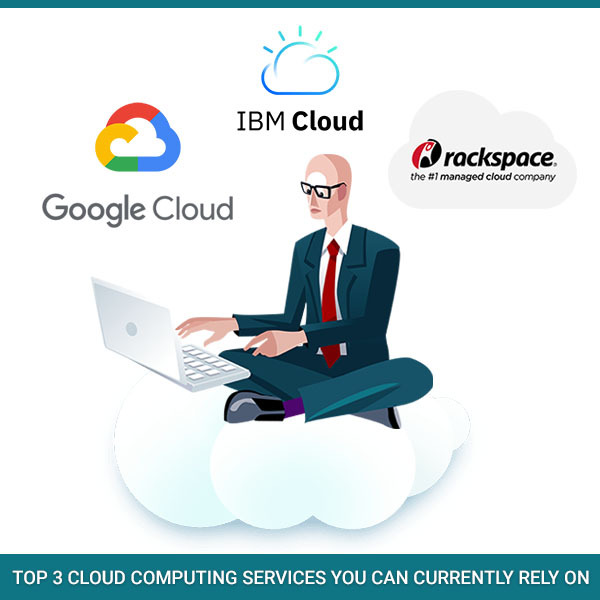 Below you can find a short list with three of the best – at least for us – cloud computing services available on the market right now, including their main pros and cons. Rackspace Cloud allows you to choose a provider and easily interact with it using their own platform. Until now, they have partnerships with major providers, such as Microsoft Azure, Amazon Web Services and VMware. We can talk about a major advantage here: the scalability of some of the biggest cloud providers of the moment, combined with the customer support of a small company. Currently, you can choose from public cloud, private cloud, hybrid cloud, as well as multi-cloud. For us, the public cloud option seems to be the most reliable one, as it provides quick and easy access to all the IT resources you need, shrinking the cost of data center management. Still, private cloud can also be a great choice, with faster servers. You can now sign up for free to Rackspace Cloud and give their services a try. When it comes to the big players in the cloud computing game, Google Cloud seems to be one of the best options, especially because it offers a 12-month free trial. Sure, the setup can be a bit tricky at first, but once you get through it, you will enjoy its benefits. The platform itself allows users to create business solutions using Google’s modular web services and includes a multi-layered secure infrastructure, meaning that anything you build or store will be 100% safe. Google Cloud includes a variety of tools as well, ensuring constant performance and management, like Compute Engine, App Engine, Container Engine, Cloud Storage and Big Query. Tech giant IBM is, at least for us, the most complete cloud computing solution of the moment. IBM Cloud offers a wide range of services, covering both virtual and hardware-based servers, consisting in public, private and management networks. The user has complete infrastructure control, as the ‘bare metal’ hardware servers provide sole access to the entire server, reducing the so-called ‘noisy neighbor’ effect, but also seriously improving performance. Also, it’s worth mentioning that the IBM cloud computing solution can be managed by a single system, controller through a web portal, API or even mobile apps. By far, the best way to start with IBM Cloud is by picking the Lite tier, without a time limit and no credit card details. This includes 256MB of Cloud Foundry Memory and also offering the possibility to upgrade, after using the calculator to estimate future costs. Oh, and they also offer tailored packages, depending on your needs. Still can’t decide which cloud computing solution is the best for your business? IB Systems can help you! With over 20 years of experience, we can provide assistance in choosing the solution, as well as implement it and moving your business into the cloud. Previous PostPrevious Is It Worth Investing In Internet Marketing?